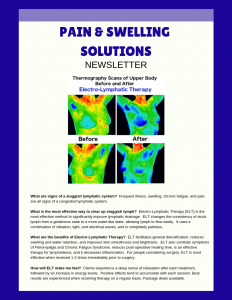 Why Is It Important to Release Scar Tissue? Scar tissue is the body’s way of repairing injuries caused by sprains, strains, repetitive injury, tears, surgery, and bone fractures. It is an intentionally disorganized network of collagen that is laid down to hold together tissues that have sustained damage so that they can heal. In an ideal world, the disorganized network of scar tissue is remodeled when healing is complete so that normal motion and function are restored to the body part that sustained the injury. However, this does not always happen and scar tissue begins to contract and restrict motion even further. Joint contractors are often caused by scar tissue contraction. Scar Tissue Reduction and Management works to remodel (realign) the collagen fibers so that range of motion, strength, and mobility are restored. 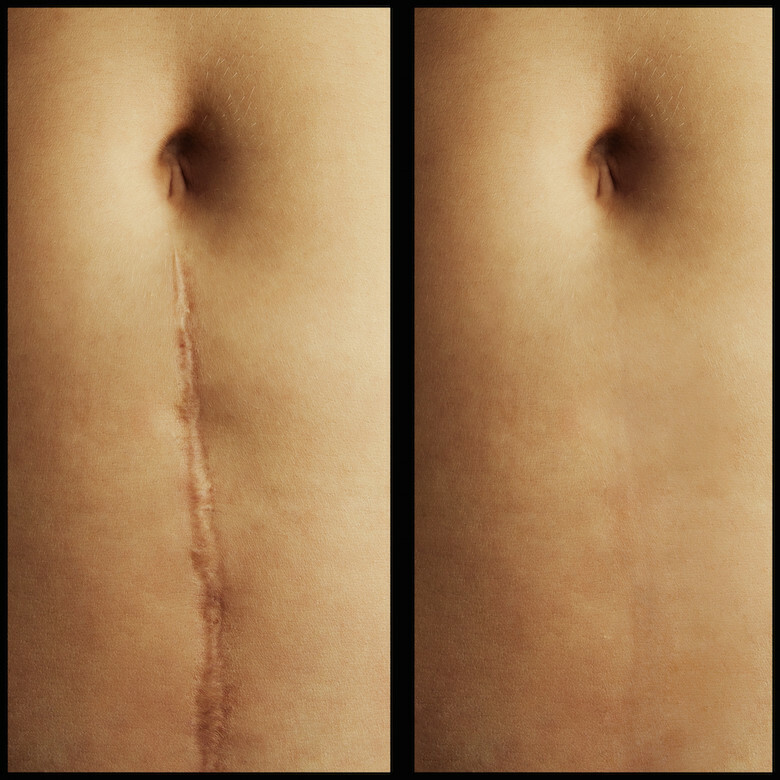 Superficially, the appearance of scars often improves significantly after realignment. The picture to the right shows a scar from open heart surgery. The tightening of this scar can alter posture by pulling the front of the shoulders in the direction of the scar. Forward shoulders cause the top of the back to arch and the neck to strain to keep the head upright. Over time this can lead to serious back and neck issues. Remodeling the scar tissue can allow the shoulders to return to normal position. 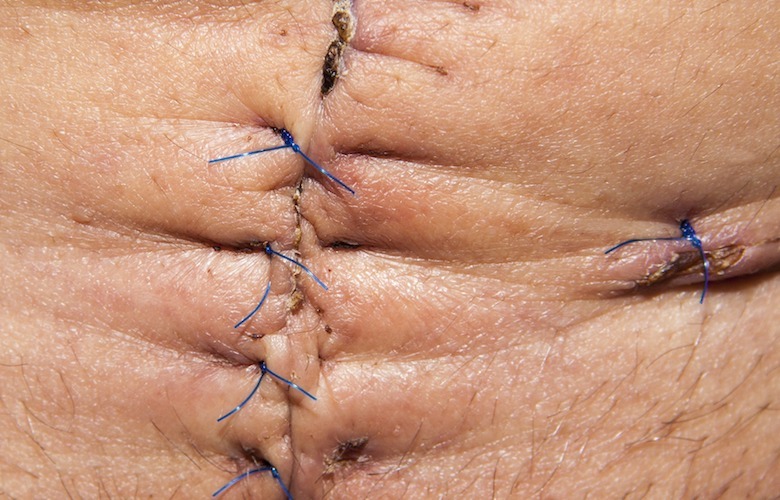 In the case of abdominal surgery, scars (commonly referred to as adhesions) can tug, pinch, and twist vital organs causing blockages. What is deceptive about scars is that they appear to be superficial, but they can run deep through the body wherever tissue was cut or damaged. The healing process is one of stabilization of the tissues. So, as scar tissue works to stabilize an injured area, it reaches out in all directions to find anchor points to start building reinforcing tissue (scar). These anchor points are often bones and nearby organs. Over time, as long as months or years later, the contracting scar tissue can create pain. Oftentimes, the scar tissue has pinched a nerve. Scar reduction techniques are generally effective at improving these types of symptoms. Other problems include inflammation (irritation) of organs that have been used as anchor points. These can be serious, so see your doctor if you have concerns and make sure that you are cleared for scar massage techniques before making an appointment. Scar remodeling can help lessen the symptoms. If your symptoms are severe and possibly include bloating, constipation, inability to pass stool, nausea, or vomiting, seek medical attention immediately as these could be signs of an intestinal blockage. Blockages happen when adhesions cause the intestines to twist. This is an emergency and you should not attempt to massage the area as it could rupture. Since scar tissue does not have the same flexibility as normal tissue, restrictions in movement, pinching, and tugging are not uncommon. It is possible to “mobilize,” or restructure the scar tissue so that it moves well with the tissues around it. Therapy using Myofascial Release, Kinesio Tape, and Electro-Lymphatic Therapy are all methods that can improve the appearance and texture of scars. including deep adhesions that may have resulted from surgery.